Ascon Oil Company Limited and Mobil Oil Nigeria Plc, now 11 Plc, are at loggerheads over a piece of land in Gbagada, Lagos. The indigenous oil firm and the multinational oil giant are locked in claims and counter-claims over the ownership of the piece of land on which the popular Mobil filling station along Oshodi-Gbagada Expressway Lagos stands. It all began after Ascon officials accused the management of Mobil of denying them access to the land which they claimed to have legally acquired since 2010 and brandished documents to back their claim. Remarkably, the battle over the property has spawned several litigations and petitions in the last 18 years. The land itself has a long history. It began on September 3, 1966 when a Deed of Conveyance between the Oloto of Lagos, Chief Emmanuel Jaiyesinmi Ogundimu, and Madam Shifawu Ashabi Abudullah informed that the latter and others had acquired ownership of the large part of the land at Gbagada village, Shomolu, now along Oshodi-Bariga Express Road. Later, another Deed, dated August 25, 1975, between Madam Abudullah and others and Chief Samuel Sunday Ogunyade bore notice that the property had been acquired by Ogunyade. This was status of the land until Mobil came into the picture in 1980 when it reportedly took a 20-year developmental lease of the land from Ogunyade and subsequently built the filling station. But immediately the lease expired in 2000, Ogunyade filed an application in court against Mobil in suit number LD/2360/2000, accusing the oil giant, among others, of leasing a part of the land to UAC for the location of a Mr. Biggs outlet in the premises without his consent. But following the settlement of the matter, a further 10-year extension on the lease was agreed upon by both parties. The new lease took effect from 2000 and was to lapse on August 31, 2010. Providing more information on this, ASCON’s Assistant Company Secretary/ Legal Adviser, Nwakaudu Okechukwu Provins, said: “It (lease) was without an option of renewal. Mobil and the administrators of the late Chief Sunday Ogunyade were unable to agree on terms for a renewal of the lease of Mobil over the property, and Mobil was, accordingly, informed. It is important to note that Mobil had no right of first refusal to either lease or buy the property”. But it was a claim Mobil has continued to disagree with, while insisting that its lease on the property would not expire until 2020. Said Danladi Ochebe, Company Secretary, Mobil Nigeria Plc: “There is a difference between possession and ownership. We’re in possession of the place with a valid judgement of the court till 2020. When the lease expired in 2010, we entered into negotiation with the owners (of the land). And when we had concluded with them, they (Ascon) came through the back-door claiming to have bought the place. 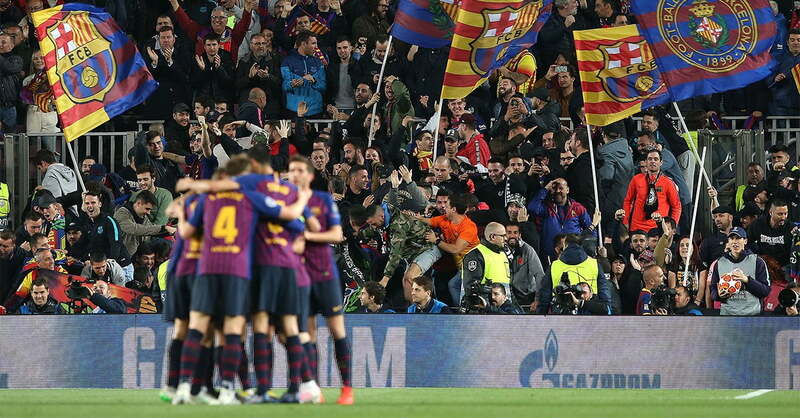 It was based on that, that the owners, and not them, took us to court for possession. But we said ‘we have been using your property for thirty-something years, and if you want to sell it, at least we have the right of first refusal’. That was the issue we raised, and more so when we have concluded agreement for another 10 years. It was based on that the court said since the agreement has already been concluded, we should remain there till 2020″. The statement is the latest sequel to the unfolding legal drama between Ascon and Mobil. But in their own version of the unfolding story, Ascon officials have continued to insist, with the backing of the original owners of the land, that they are indeed the injured and aggrieved party. According to them, the administrators of the late Chief Sunday Ogunyade had, towards the end of 2010, entered into a 10-year lease agreement over the property with Ascon Oil, but that later the property was sold to Ascon by the administrators and the title transferred to the oil firm. The transaction, however, did not go down well with Mobil which was why it subsequently dragged the administrators of the estate of Chief Ogunyade to the Lagos High Court and prayed the court to prevent them from leasing or selling the property to Ascon. The suit was reportedly dismissed by Justice Akapo Lawal for the failure of Mobil to sue the administrators of the deceased’s estate in their personal names. According to Provins, that was to be the beginning of “how Mobil began to frustrate the arbitration process”, adding: “Their representative was constantly absent during the proceedings and Mobil was also not prepared to make any concession. Instead, they boasted that they would remain on the property forever. The records of the proceedings will confirm this”. Another twist to the tale is the claim by Ascon officials that Mobil, which now goes by the name of 11 Plc, has since sold majority of its downstream operation, including the operation of the filling station on the disputed land to Nipco Plc. They also informed that the offers of N350 million and N750 million made to Ascon by Mobil to enable the oil giant purchase the property were unacceptable and ridiculous. “It is important to state that Mobil has been in possession of this property since 2010 (after their lease expired and Ascon bought the property till date) without paying any rent to Ascon. They have been collecting rent from Mr. Biggs (UAC) and have been making huge profit,” they charged. The officials added that Ascon’s efforts to access the place to claim its property had been frustrated by an Anti-Pipeline Vandalism/ Illegal Bunkering Unit of the Nigeria Police allegedly at the behest of Mobil. Owing to this development, Mrs. Grace Ndidi Enenmoh, Ascon Managing Director, is said to have petitioned the Lagos State Commissioner who, after investigation, affirmed Ascon as the real owners of the property. Another petition was, on July 2, 2018, sent to the Inspector General of Police to call his men to order over alleged acts of intimidation against Ascon and its officials. While complaining about the disposition of the leader of the police team, Mrs Enenmoh alleged: “He has, on several occasions, made comments which clearly showed that he was influenced in the course of his investigation”. She alleged that Mobil’s continued possession of Ascon’s property was being aided by policemen who she accused of acting in “very unprofessional and condemnable” manner, such as arresting and arraigning Provins, who is neither a director nor a shareholder in the company and had never visited the property. While appealing to the IG to refer the case to the CP Lagos, she made a case for the charges against Provins to be dropped. Mrs Enenmoh had, in an earlier petition to the Economic and Financial Crimes Commission, EFCC, dated June 27, 2018, asserted that Mobil’s continuous operations at the filling station was in contempt of court and constituted an economic crime. “Mobil and the policemen that aided them are in contempt of court, and the action of Mobil is frustrating, provocative, likely going to cause breach of peace and endanger lives in this property and other surrounding properties in the event of a fight over possession of the property between both companies. We implore you to ensure that Mobil, now 11 Plc, and its officials vacate the property, pending the final judgement of the court”, the petition said. 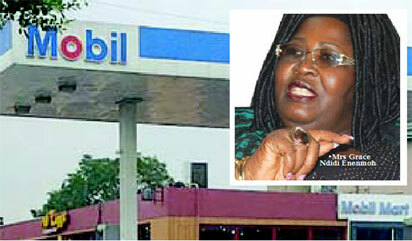 But as far Ochebe is concerned, “the judgement of the court says we (Mobil or 11 Plc) should remain there till 2020”. He accused Ascon officials of resorting to self-help by invading the contentious property. “The issue is that we don’t know why Ascon and its officials are still fighting us because they are not a party to the suit. They have allowed Mobil to stay there for eight good years without saying anything. Then all of a sudden they came in when we have just two years to go; they came in the night and barged into the place.